Reduced fat (25% less fat than original chips ahoy! Nabisco chips ahoy! chocolate chip cookies deliver that sweet, traditional cookie taste that so many love. Crammed with real chocolate chips, these cookies have delicious chocolate morsels. 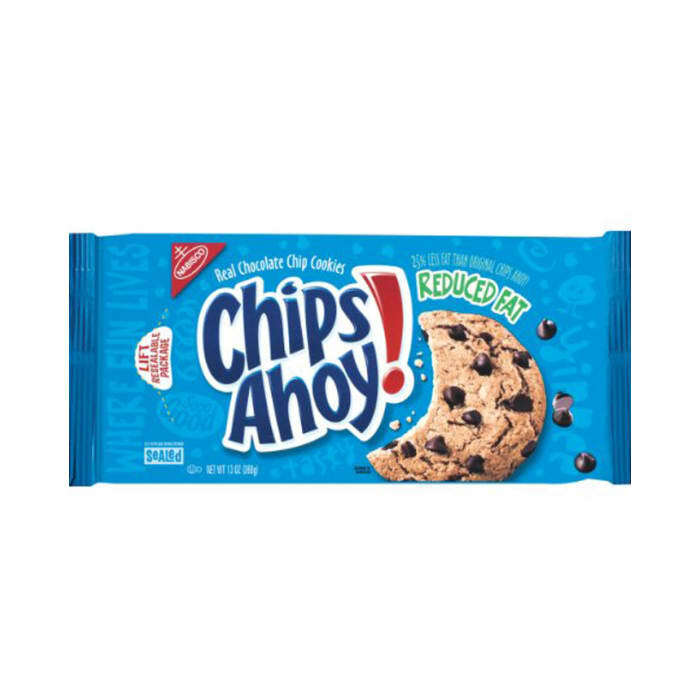 These chips ahoy! are crunchy chocolate chip cookies that are reduced fat (25% less fat than original chips ahoy).